Being young and dumb, I ignored the red flags when I signed a two-year lease. The complex had changed management seven times in two years. Paperwork was always "disappearing" from the office. And I was a naive 24-year-old who didn't realize that life can change in an instant -- or merely three months later. Seemingly all at once, I was offered a job I couldn't turn down in New York City, the apartment complex changed management (again) and I had left the apartment to a roommate who I thought was set to assume the lease. That Craigslist roommate abandoned the apartment when she couldn't make rent and the new management company hunted me down in New York to pay the rent she owed, conveniently losing the form that removed me from the lease. The lesson here? You probably shouldn't 100% trust Craigslist roommates, but definitely make sure you get out of your lease cleanly and carefully. The laws in each state are different, but here is some general advice to break your lease and emerge relatively unscathed. 1. Consider your landlord relationship. Breaking your lease could be eased by the kind of bond you have (or don't have) with your landlord, because this will influence your approach. I had zero relationship with the management at my apartment and they barely knew my name, thus they had no qualms about "losing" my paperwork and hounding me for money after I'd moved 800 miles away. "Before approaching the landlord, consider your history with him or her so you can choose the appropriate strategy," says lifestyle expert April Masini of AskApril. "If you've been at war with your landlord since Day One and have been asking for 'revenge repairs' for the duration of your lease, there are two ways this could go. Your landlord may be thrilled to hear that you're wanting to leave early. Or they may see this as yet another in the litany of your issues." 2. Be willing to compromise a little. Many landlords know that life happens -- and that moving on after a few years is just the nature of renting. Some, though, will demand that you make good on the lease or pay penalties. Real estate and legal experts say you can try to ease the transition by offering to find a replacement tenant or by absorbing the costs of cleaning and painting the place after you move out. 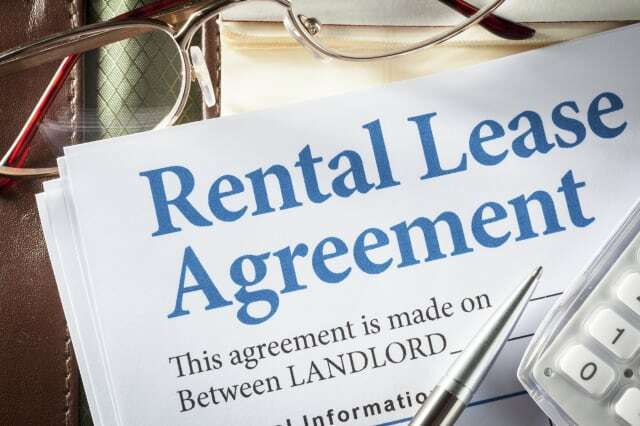 "These are headaches for landlords, and it might help your case," says attorney Sam Mecum, the landlord/tenant partner in the law offices of Reese, Samley, Wagenseller, Mecum, Longer & Williams in Lancaster, Pennsylvania. Steve Silberberg, a landlord who lives in Boston and owns a rental property in Seattle, agrees that offering to find a replacement would soften the blow. He knows that lapses in occupancy are bad for his building. "No income, nobody watching the property, the exterior starts looking run down, and services must continue to be paid for," he says. "So if someone wanted to break a lease, I would be ecstatic if they provided responsible replacements." Brian Davis, vice president of ezLandlordForms and a landlord himself, says even if your landlord won't budge on the issue and seems to want to take you to court, it probably won't happen. "It's just not worth the trouble and expense in 99% of cases," he says. "First, they have to sue you in small claims court, which is expensive and time consuming. Second, they have to actually find you, which in itself is no easy feat. Finally, even if they go through all that hassle, they still have to collect from you, which is even more expensive and time consuming." 3. Keep all of your documentation. In my situation, I also hurt my case by never requesting a copy of the form that released me from my old lease. If you're wondering how that story ends, I had to beg the Craigslist roommate's mother to contact her and the roomie finally took responsibility. Phew! There are happy endings to these predicaments. Baltimore resident Jonathan Stokes had to break his lease because of a personal emergency, but his landlord insisted that he pay the remaining months' rent. Stokes consulted with Brian Davis, who found a loophole -- Stokes' landlord never asked him to sign a lead paint certificate, which is a requirement because the house was built before 1978. "The landlord was silent for about 10 seconds, then she politely asked me to leave the place clean when I moved out. I did, and that was that," Stokes says. Shiawee Yang, an associate professor of finance at Northeastern University, emphasized that you should be familiar with tenants' rights in your state and know what you're getting into when you sign on the dotted line. "Most state laws offer strong tenant protection," she says. "The law is on your side. Make sure you read about your rights as specified in the lease and in the state law, and consult expert opinions. After all, the best rule of thumb is not to sign a stupid lease carelessly." If you make sure you understand your lease before you sign, there's a better chance you'll be able to avoid any costly fees if you have to move without warning.